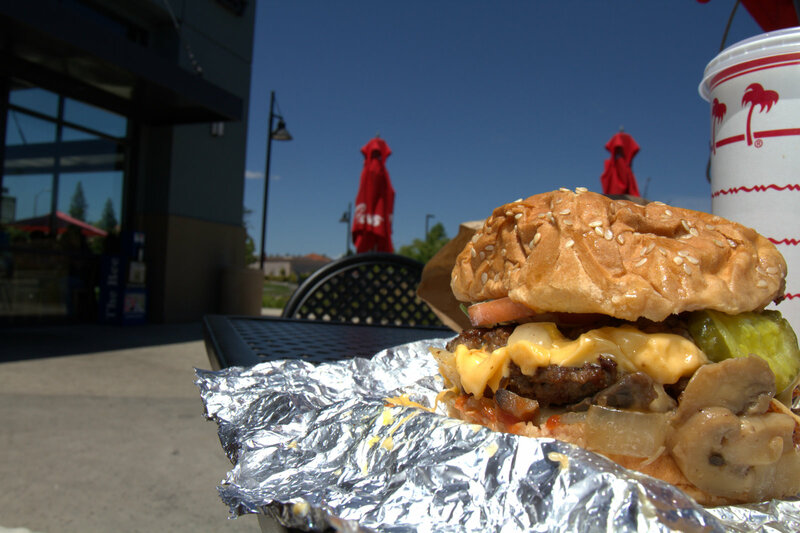 Five Guys Burgers & Fries is a national fast food burger chain with over 750 locations across the United States and Canada. They first opened their doors in 1986 in Arlington, VA and have been expanding the franchise ever since. I first heard about Five Guys from a random tweet a couple of years ago from Jason Sadler of iwearyourshirt.com. 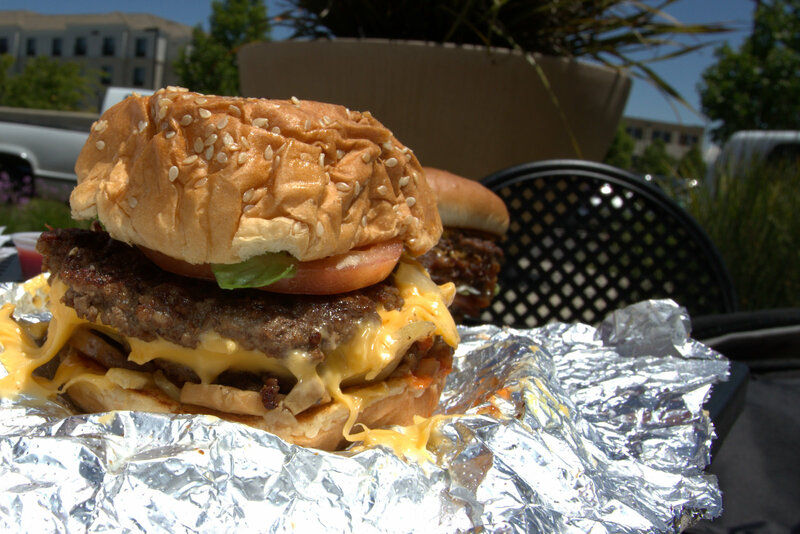 At the time, 5 Guys was an East Coast chain so I could only eat it vicariously through the pictures and tweets of others. 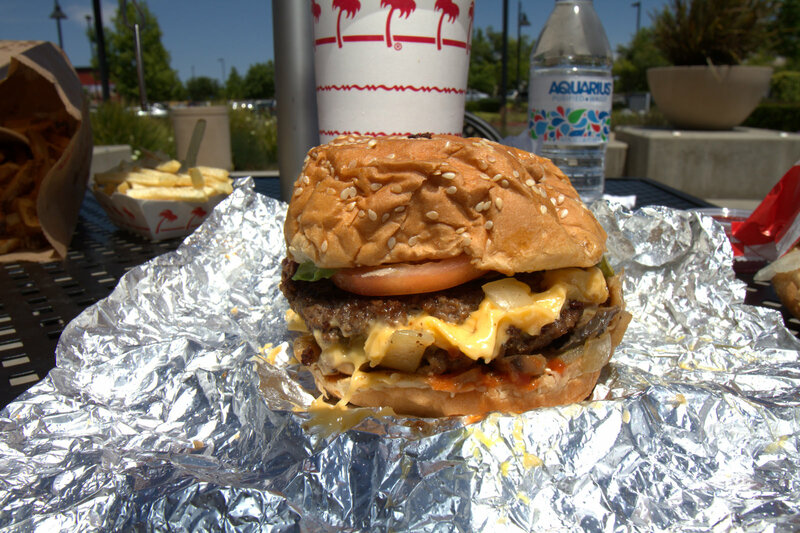 For some reason, that I’ve yet been able to understand, Five Guys is always compared to In-N-Out burger. Probably for the same reason that Chevy is compared to Ford, Apple is compared to PC and Illustrator is compared to CorelDraw: to give people a place to draw a line in the sand and defend their personal choice as indisputable facts. 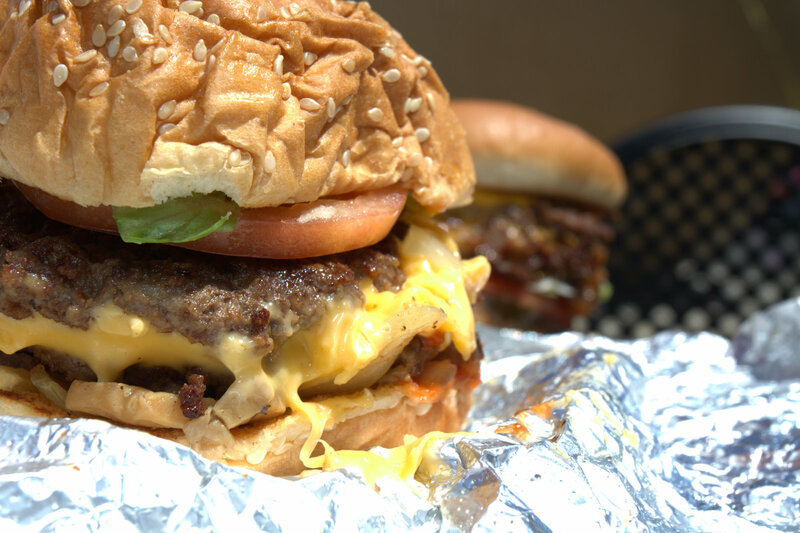 The Five Guys burgers come in a couple of varieties: hamburgers with 2 patties, or “little hamburgers” with one patty. You can get your burgers with cheese and bacon for a little extra, but they are known for their plethora of free topping options including: mayo, lettuce, pickles, tomatoes, grilled onions, grilled mushrooms, ketchup, mustard, relish, raw onion, jalapeño peppers, green peppers, A1 sauce, BBQ sauce and hot sauce. I order mine “all the way” (which includes the first 8 toppings) with cheese and bacon. 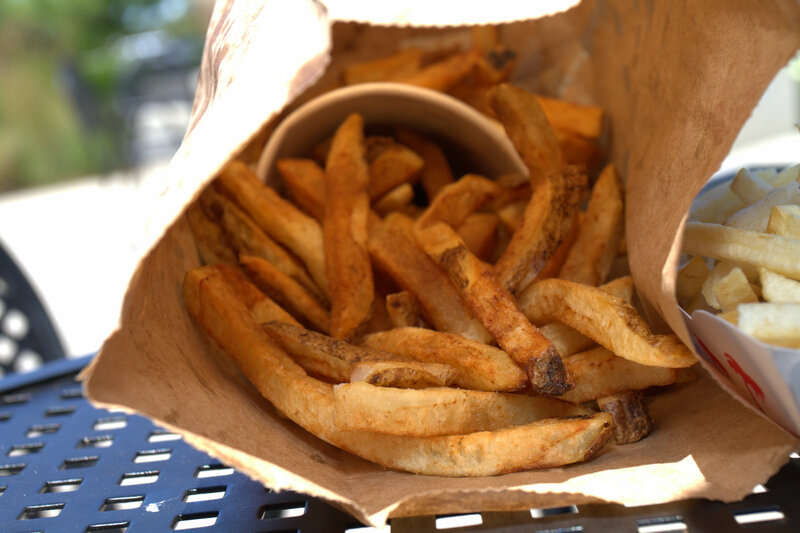 Each time I’ve ordered it, it’s been served up quickly, always wrapped in their signature tinfoil and delivered in a plain brown paper bag, spotted with grease from the hot fries within. 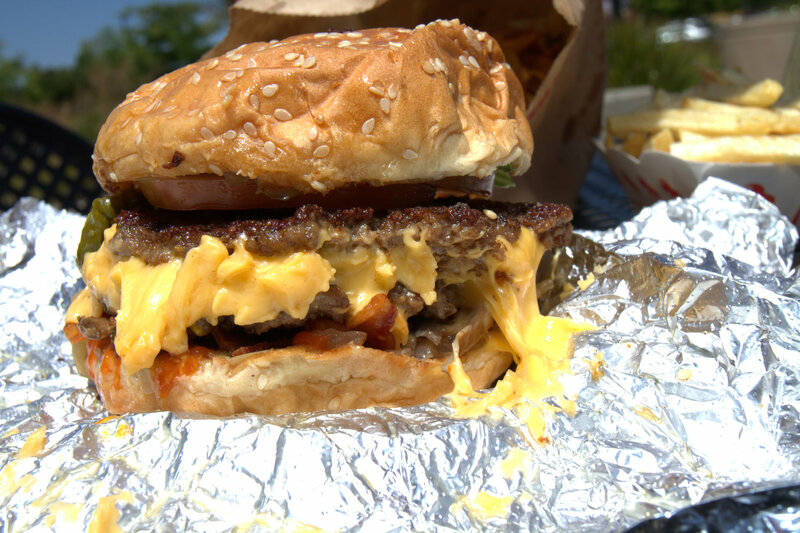 The cheeseburgers from Five Guys qualify as a beautiful mess burger. Not always pretty to look at (or photograph), but packed with delicious flavors. The melted cheese, crisp bacon, grilled onions and mushrooms all smooshed together in a merry meat meal mound that makes you want to maul it like a burgersaurus. Although they cook the burgers to be well done, they still manage to pull of a pretty juicy sandwich. They use 100% fresh beef, but I think the flavor of the patties benefits a great deal from the toppings that they use. 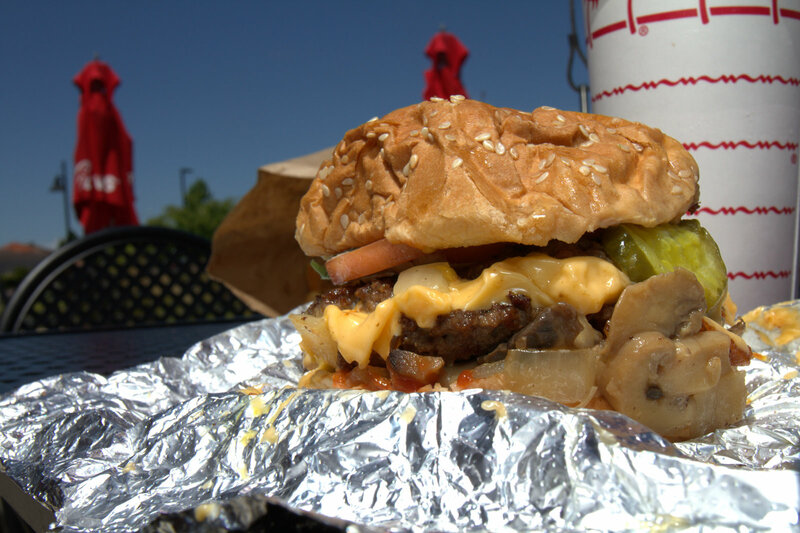 The beef has a bit of a greasy flavor, so I’m not sure I could eat a “plain” Five Guys burger. Although the toppings all kind of meld together you can tell they’re fresh. The bun could be stronger, as about a third of the times that I’ve ordered the bun has disintegrated before I got done with the burger. 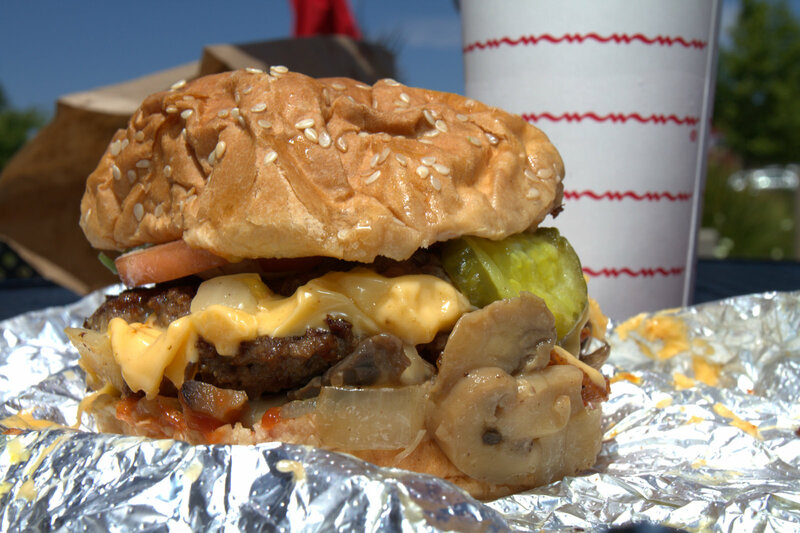 I think part of the reason why many In-N-Out fans are disappointed by Five Guys is because they are expecting it to be somehow In-N-Out like. To me, that just sets a burger up for failure, like expecting your Mercedes to drive like a BMW. 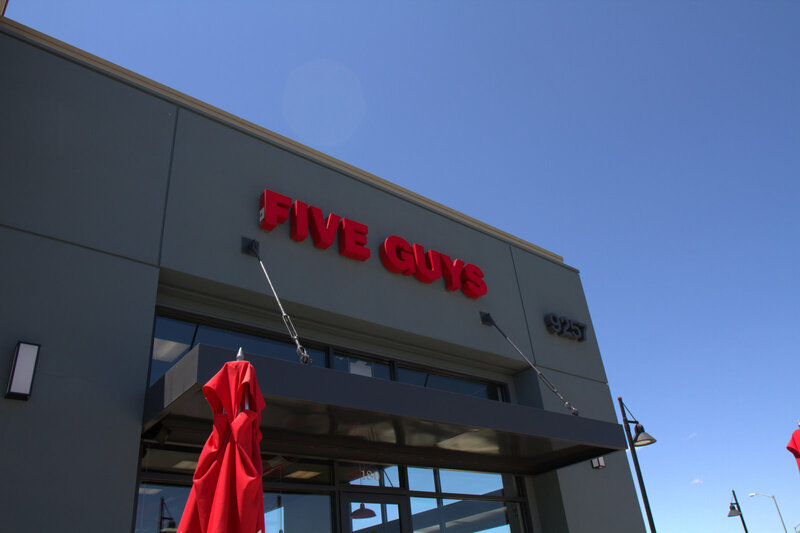 So instead, I ate my first Five Guys similar to how I watch a movie that I’ve saw a preview for about a year ago: I kind of know the gist of the story (it’s about a burger), but I have no idea about the details or how it’ll end. 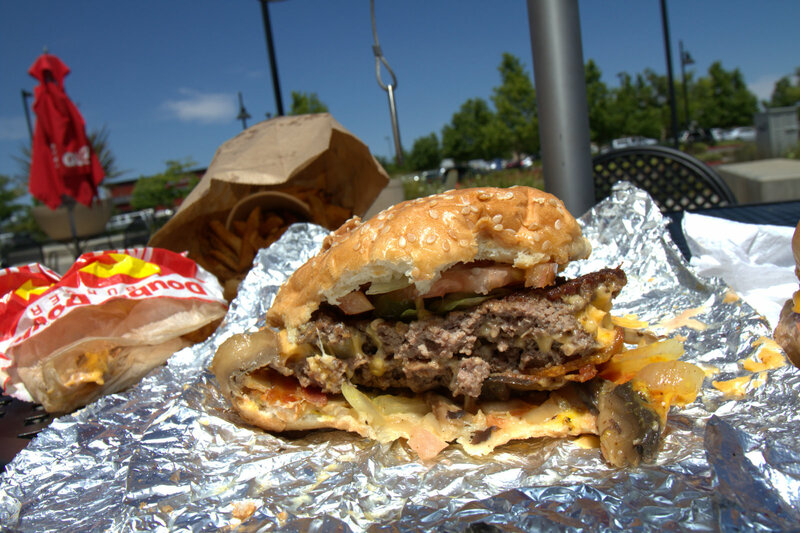 The Five Guys burger is a pretty darn good burger. It’s a step up from many fast food burgers and it’ll work in a pinch to satisfy this burgerjunkies cravings. Get a grilled cheese made into a Patty Melt – cheese, grilled onions and mayo. Totally awesome. Is that some type of secret menu item?